Customers eligible for money or rebates. 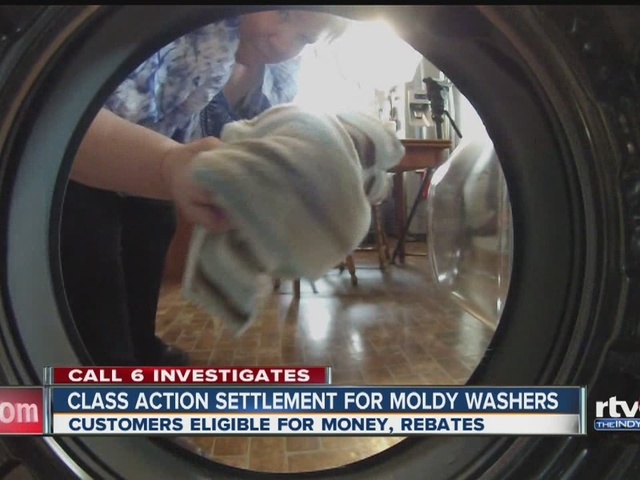 INDIANAPOLIS -- If you own a Whirlpool, Kenmore or Maytag front-loading washing machine manufactured between 2001 and 2010, you may be eligible for up to $500 in cash or a voucher toward a new washer as part of a class action settlement. 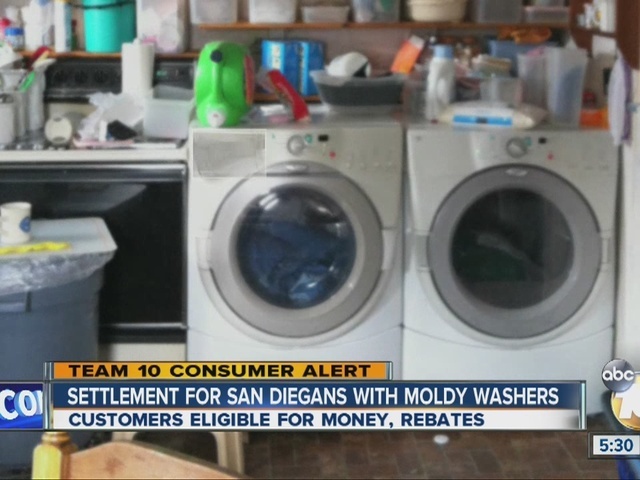 An investigation by 10News' Scripps sister station RTV6 exposed odor, mold and other defects with front loading washing machines back in 2013. The court has not yet approved the settlement, but a hearing is scheduled for September 7 in U.S. District Court in Cleveland. If you’re interested in getting money, you have to submit a claim by October 11, 2016. Indiana resident Ruth Ogden bought a Whirlpool Duet front loader around 2004 and said after a year, she started noticing an odor in her clothes. Ogden contacted RTV6's Call 6 Investigates in the hopes of getting some of the settlement.